The online world is an increasingly social one. People and businesses and connect with one another with a few clicks of a mouse. You can’t afford to be silent or to bow out of social media marketing, and why would you want to? 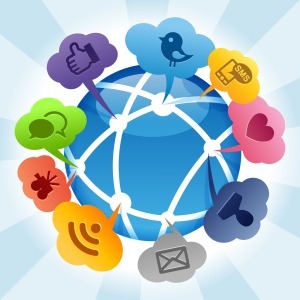 Social media sites are one of the most cost effective ways to connect with your customers and find new ones. But you can’t just sign up for accounts on Twitter, Facebook and the latest social media sensation, Pinterest, and start promoting your company. Social media is about building relationships. If you want to engage your customers and inspire them to hit the “like” button, here are five social media marketing mistakes you don’t want to make. Social media is a slippery slope. On one hand, you need to get the message out about your business or products, but you don’t want to alienate your friends and followers by sending a non-stop stream of promotional messages. Do it too much, and you’ll lose your fans, friends and followers. Think about other information or news your target market might be interested in, and post links to it along with helpful tips they can use to make their life better. Don’t let every Tweet and Facebook posting sound like a press release for your company. Use social media as a tool to offer something of value. As many as four out of ten online businesses don’t respond to comments on social media sites. That’s bad business. When a negative comment goes without a response, it reflects poorly on a company. Responding to comments builds credibility and shows people you care, and that goes a long ways towards building your brand. When people post positive comments, you may not have time to respond to all of them, but take the time to “like” the comment out of courtesy. Social media is a great market research tool and a way to find out what customers really want. When you’re involved in the social community, you can ask people what they look for when purchasing a particular product or service. This information will help you “tweak” what you offer to better meet the needs of your target audience. Use social media to “get into the minds” of your customers and determine the direction of your business. When you post useful content on your blog or send out an email, it should reach as many eyes as possible. Make it easy for readers to spread the word to their own social media followers by posting share buttons. This is one of the easiest ways to make your content viral and increase visitors back to your blog or website. According to a report published on Bright Edge, posting a Twitter share button on a website boosts social media exposure by up to seven times. Most businesses can use that kind of free exposure. Couldn’t yours? When you post content with improper spelling and grammatical errors, it makes your business appear unprofessional. Don’t be in such a rush that you send out material with glaring errors – and if you have more than one person writing social media posts, be careful. It’s best if your correspondence all has a similar tone or voice for consistency. Social media marketing takes time, so plan out your strategy and how much time you can devote to it just as you would for any other aspect of your business. Do it right, and it’ll pay off with new and repeat customers.